The best time for skiers who aren’t quite ready to give up the joys of winter fun. It may officially be spring but now is the best time to be skiing in Tirol. Due to its high altitude of 1,500 metres, the ski area Hochzeiger is snow-secure until the end of April. The perfect opportunity to carve down the near empty slopes and enjoy winter at its best. Many winter sports enthusiasts prefer the end of the winter season to go skiing. The mild temperatures invite to sit outside and take in the splendid view over the white summits while soaking up the sun. 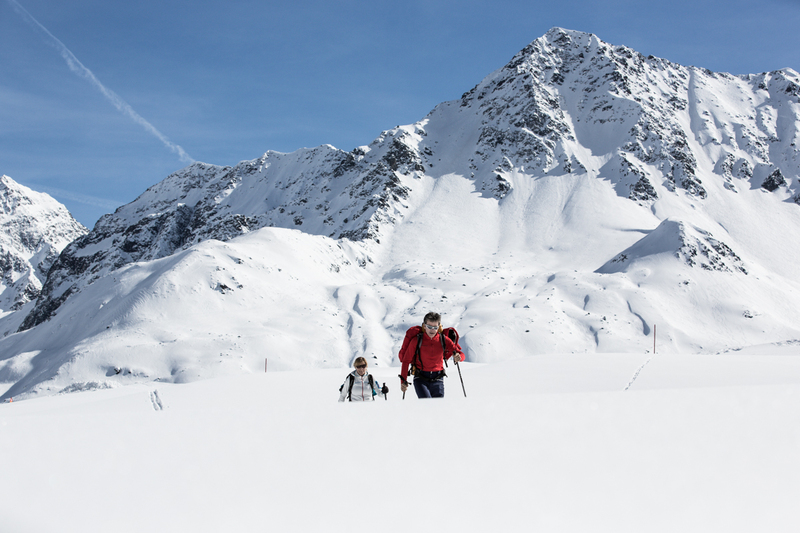 What is so special about the ski finish in the Pitztal valley? While the valleys see the first spring flowers blooming, the guests of the 4* superior hotel Andy are still out skiing. It may still be winter outside, but spring is in the air. The temperatures are rising and migrant birds are returning. Cross-country skiing, snowshoeing, winter hiking. Ice skating and ice stock sports. Riding or carriage rides. There’s an abundance of outdoor activities to engage in. The host family Kirschner organizes weekly hikes to the hotel’s own “Sumpfhütte” mountain hut and takes guests out skiing or tobogganing. 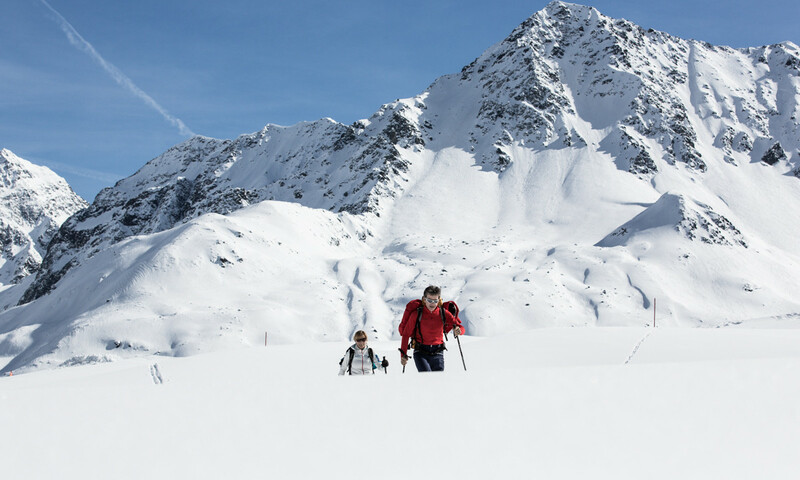 They will show you the best places in the Pitztal valley and share tips where to go ski touring and freeriding. Will the mountain hare bring Easter eggs? Spend your Easter holidays with your family at Hotel Andy. No matter if you prefer the outdoors or if you want to relax at the hotel and spend time with your loved ones. Until Easter we offer childcare from 5.00 p.m. to 9.00 p.m. at the hotel. Children can enjoy the large playroom, the family sauna and steam bath and the indoor swimming pool. Couples and guests who seek peace and quiet, will find rest and relaxation in our spa area. Finish the winter season at Hotel Andy and look forward to spring skiing on the sunny plateau of Jerzens in the Pitztal valley.